In the autumn of 2013, the Art Museum of Estonia initiated a large-scale project which aimed to research and conserve the altarpiece of the high altar of St. Nicholas’ Church in Tallinn with support from EU funding. The altarpiece was completed in the workshop of the well-known Lübeck master, Herman Rode and is one of the most impressive examples of late medieval Hanseatic art in Europe, especially due to its grand size, measuring approximately 6 x 3.5 meters. Extensive restoration work on the altarpiece had taken place between 1975 and 1992, however the work was interrupted by the political developments that would take place in Estonia and the Soviet Union at the time. Though much of the work was successfully achieved, the altarpiece’s sculptural components were still in need of cleaning and so, the project was started to complete this undertaking. This project is special due to the collaborative nature of the research. In addition to researching and restoring the altarpiece, another aim of the study was to bring together the specialised scientific resources of technical research in Estonia. Within the framework of the Rode project, an interdisciplinary group of researchers from the fields of science and the humanities have worked closely together and have created valuable new knowledge concerning one of Estonia’s most important works of art. Comparative studies of other works attributed to Rode’s workshop were also incorporated. The new knowledge which has emerged from this research forms the basis for further development in the heritage field in Estonia, Europe and beyond. “This highly complex project has succeeded to coordinate and make use of international resources to restore this splendid altarpiece in situ. The enthusiastic and open-minded team has achieved this incredible result with a relatively modest budget”, stressed the jury. “The project represents absolute best practice in painting and sculptural conservation and research and is a huge achievement in interdisciplinary and international collaboration”, added the Jury. 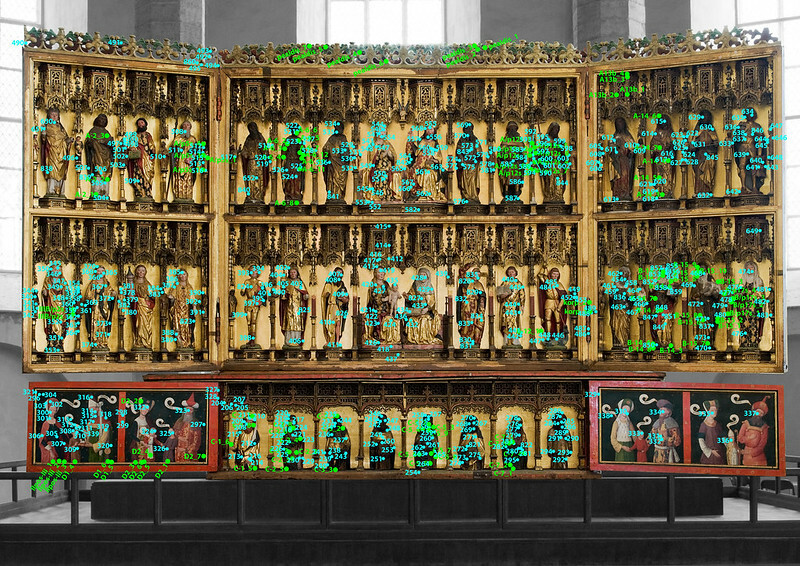 The results of the work have been brought together in a web-based media portal on the topic of the Talinn and Lübeck altarpieces which includes high resolution and infrared photographs of the painting. This excellent online presentation ensures that the results of the study are open and accessible to the general public and specialists the world over.